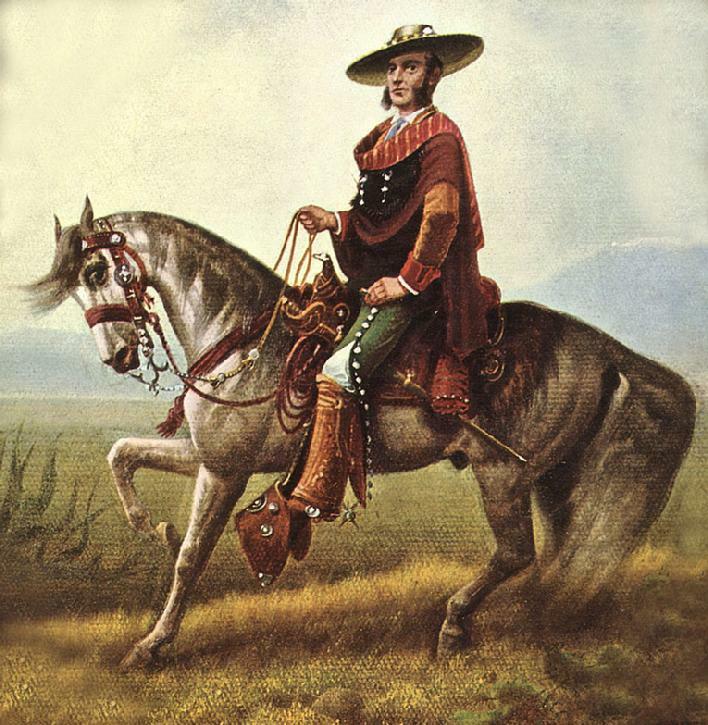 They called themselves "Los Californios"
In the Old World, only aristocrats rode horses. In the New World, courage, skill and horseback virtuosity created a new species of aristocracy, born of the saddle -- Los Vaqueros. Their proud spirit defined California, and gave birth to both the cowboy and charro. The 1830's was their heyday, when millions of cattle roamed the hills and valleys of Southern California. 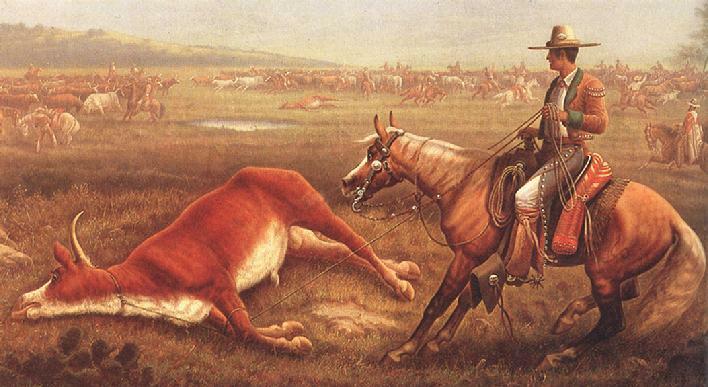 En el viejo continente, s�lo los arist�cratas montaron caballos. En el nuevo mundo, el coraje, la habilidad y a caballo virtuosismo cre� una especie nueva de la aristocracia, nacido de la silla -- Los Vaqueros. Su esp�ritu orgulloso defini� California, y dio a luz tanto al "cowboy" y el charro. El 1830's era su apogeo, cu�ndo mill�n de ganado vag� las colinas y los valles de California. When Los Angeles was a tiny pueblo surrounded by Rancho Santa Anita, Rancho de los Encinos, Rancho La Brea, Rancho San Pedro, Rancho de Los Palos Verdes, Rancho de Los Cerritos, Rancho Tujunga, and Rancho de San Fernando, the vaquero was king. Descendants of that tradition still ride the valley trails. Their style of horsemanship has been passed down through the generations, back to the time of the Conquistadors. Cuando Los Angeles era pueblo diminuto rodeado por ranchos de ganado con nombres como Rancho Santa Anita, Rancho de los Encinos, Rancho La Brea, Rancho San Pedro, Rancho de Los Palos Verdes, Rancho de Los Cerritos, Rancho Tujunga, y Rancho San Fernando, el vaquero era el rey. Los descendientes de aquella tradici�n todav�a montan nuestros rastros de valle. Su estilo de equitaci�n ha sido transmitido por las generaciones, atr�s al tiempo de los Conquistadores. "Californios" by Jo Mora. A classic. 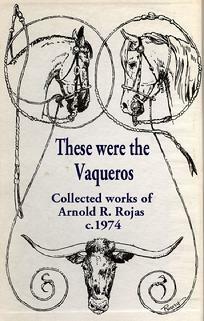 Above: Bits & spurs were tools of the trade, but in the vaquero tradition, they were also works of art. Some of the finest artisans are honored in this beautiful book, which features hundreds of colored plates of their work, as well as a short history of the evolution of the unique "Californio" style.